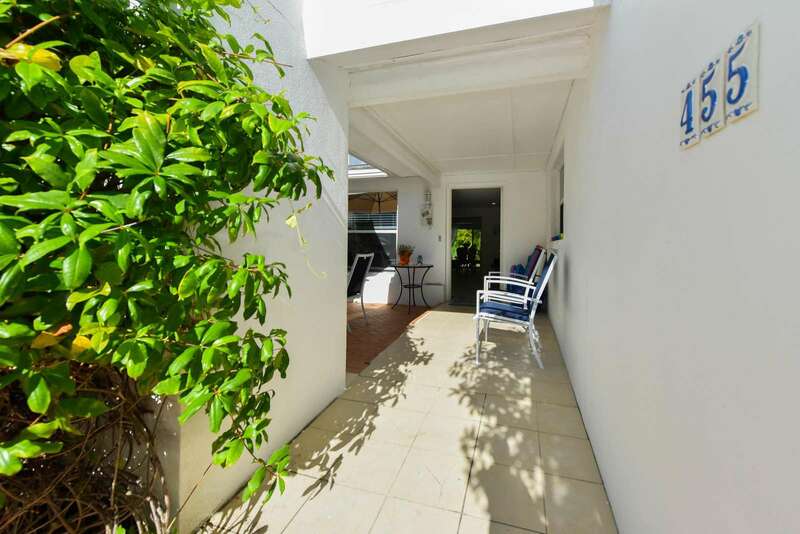 Beautifully Decorated Beach House 1400 Sq Ft, Patio, Terrace, Garden. Quiet! 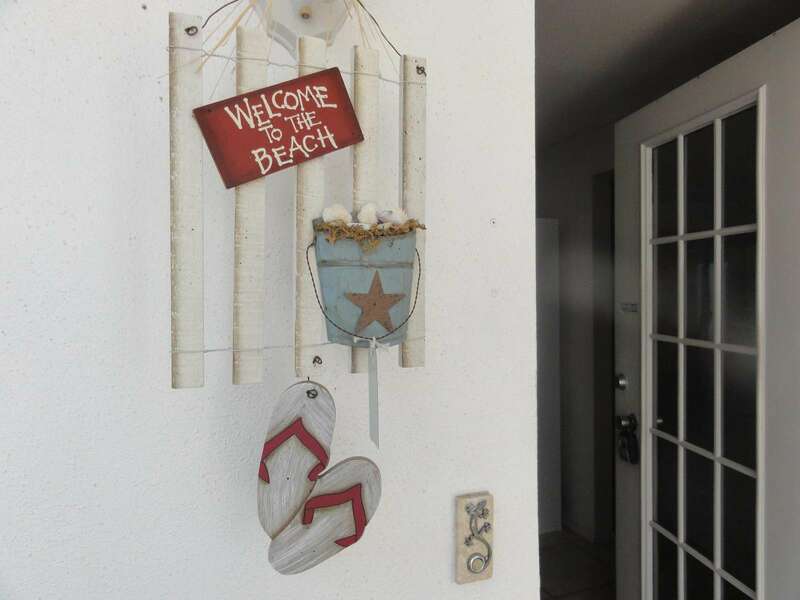 This beautifully decorated Beach House of about 1400 sq ft includes a living room, dining room, KitchenAid equipped and newly renovated kitchen, laundry room, 2 bedrooms, and 2 bathrooms. The living room has a large and comfortable couch, a coffee table, and cable TV. The dining room includes a dining table for 6, and a small couch. You can access the gardens and the terrace from french windows. You can access the kitchen from the dining room. It is fully kitchenAid equipped with oven, stove, microwave, fridge, freezer, dishwasher, coffee maker, toaster, pots, pans, and all cooking utensils. A table for 4 guests is available in the kitchen. The door to the laundry room is next to the table. It includes a washer, dryer, ironing board, and iron. The master bedroom is on the garden side with a king size bed, a large dressing, and several windows. It has its own bathroom with a sink, toilet, and shower/tub. The 2nd bedroom is on the other side of the house with a king size bed, a dressing and 2 windows. 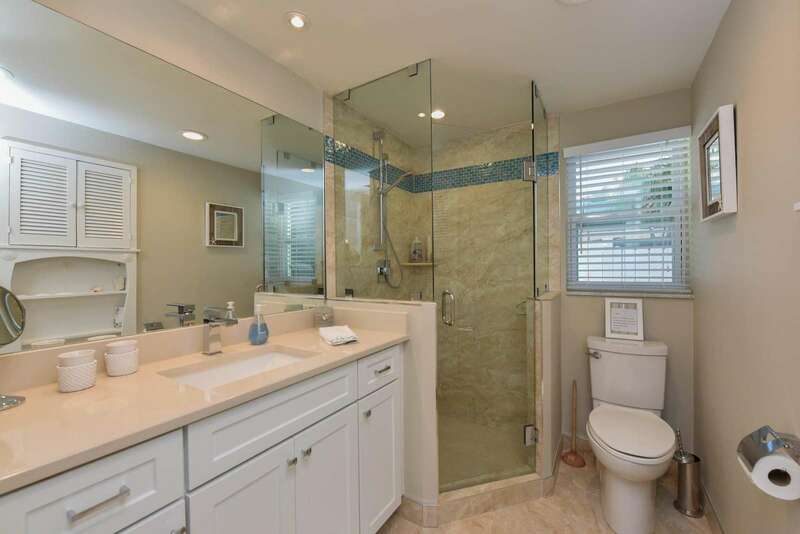 The 2nd bathroom features a sink, toilet, and shower. The Patio is at the front of the house, with outdoor furniture, and has the sun for most of the day. It is the perfect area to tan or have breakfast and lunch. The house is equipped with internet in wi-fi. An outdoor parking spot is available under a florished arbour. Also, 4 beach chairs, bikes and kayaks are available for our guests for free. Had a great time with my family at the house. The accommodations comfortably worked for 4 adults and a baby (we rented a crib). Management was responsive throughout the process. Would love to stay there again! This was our first family vacation in years and first in Florida! The house was open and airy, decorated nicely which made the stay even more enjoyable. Beautiful location too, very nice neighborhood, quiet at night. Short walk to Lido Key Beach! House had everything we needed for beach and also had bikes and kayaks too. Extras of sheets and towels if needed were a great plus. Check in and out was made with great ease with Janice (our realtor) who helped with any questions we had once we arrived. The owners were quick with responses to any of my questions and were wonderful to deal with. We had such a wonderful time, we didn't want to leave. Would definitely recommend staying in this lovely home, in Sarasota. What a bright and beautiful home with a great location. 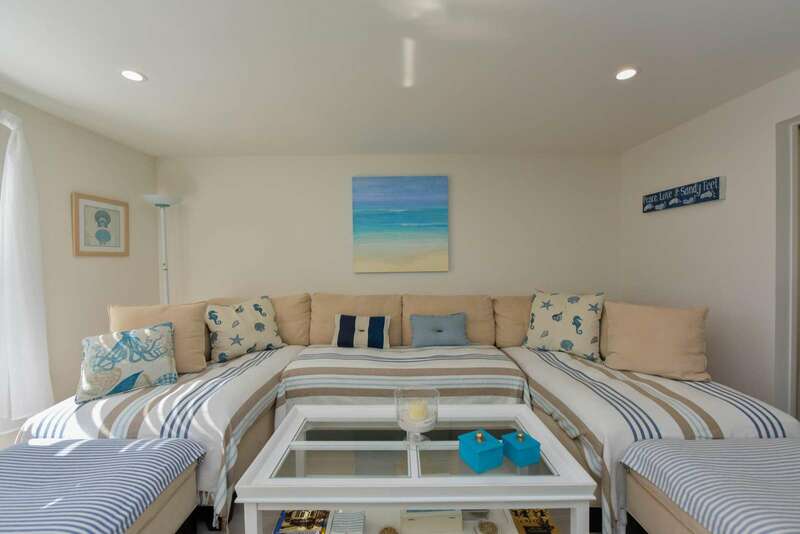 You are a very short walk to the beach and St Armands circle and the house has all of the mod cons you would need. It was a pleasure to stay at your home and I would not hesitate to book again. The home is beautiful and just as pictured. We had everything we needed and more for four adults. Super convenient short walk or drive to the beach as well as St. Armand’s and downtown Sarasota. The home is truly lovely and beachy. Anything you may need over the week is already there for you: beach mats, chairs, kayaks, life jackets. There were even cake pans in the kitchen (We celebrated a birthday while we were there). Our teenage girls loved being able to walk to St. Armand's Circle for shopping and ice cream and they walked to the beach several times per day. We went kayaking at the park that is a 15-minute walk away, using the house kayaks (they have wheels!). We had such a wonderful time. We would definitely rent from Greg and Isabelle again. My husband and I rented this lovely spot with my sister and her husband and we could not have been happier. Being there in the height of the season we were able to park the car, walk to the beach and walk to St. Armand's circle each time returning to this lovely home with a quiet beautiful back yard and lovely front patio and table where we had our evening meals. Even though we'd made reservations (a must ) each night we ended up cancelling and getting take out to enjoy the evenings on the patio eating and talking. The home is roomy, clean and well equipped and our breakfasts and lunches were easy to prepare in the kitchen. The washer and dryer were a nice plus. Couldn't have enjoyed it more. This house was a wonderful place to stay and everyone associated with it were helpful overcoming a tough start due to unforeseen circumstances. The layout and amenities made it feel very homey, with a relatively open layout that still felt cozy. The landscaping is attractive and helps create privacy despite the close proximity of neighboring properties. Not only is it a short walk to the Gulf beach, but it's also less than a mile to South Lido Park which provides shaded walking trails, Bay and Gulf beaches, and best of all mangrove "tunnels" for kayaks/SUPs. This house includes numerous kayaks with paddles and life vests, so the paddling experience did not cost extra. A must do when on Lido Key. There were also 5 available bikes. St. Armands Circle is also a short walk, and the Publix grocery is a short drive up Longboat Key. Great light (most of the house overlooks the very green back yard), very pleasant little "cocktails-before-dinner" area on the back patio, well-equipped / new kitchen ... in all a very pleasant stay. My wife and I stayed for a week and wish we had stayed longer. The House is wonderful, decorated very nicely and fully functional in all regards. As stated it is a short walk (860 steps according to my fitbit) from the beach. And a half a mile from St Armand Circle. You wont go wanting for anything. The house comes with bicycles and kayaks. We found the house very comfortable and had no issues with any of the appliances etc. The "book" on the table explained how everything worked. The beach is a very nice and if you go, take cash or a credit card as there is a resort property right there that welcomes guests at the bar and grill. We will definitely be returning. 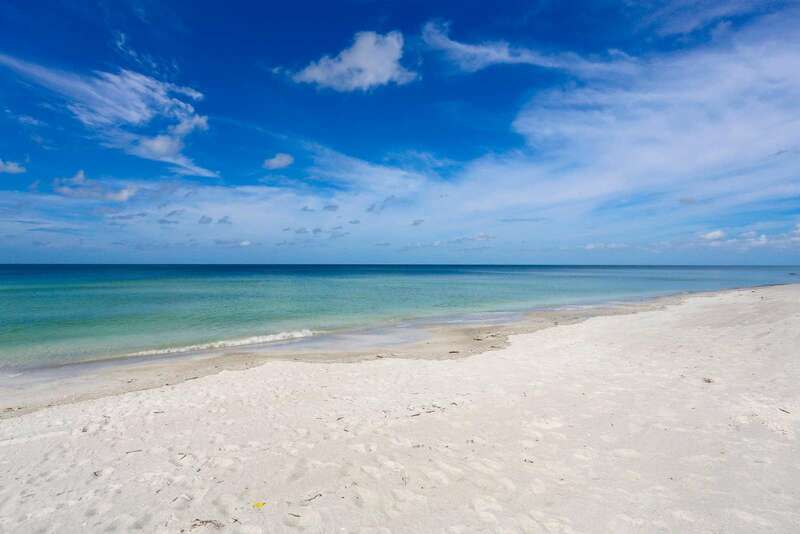 For those of you not familiar with the Lido Beach community it is wonderfully situated in an area away from the "high traffic" beaches like Siesta Key, but still only 2 miles from downtown Sarasota! Go and enjoy, we sure did! My family and I have recently spent 19 nights in Greg's holiday home. The house is surrounded by very expensive homes with friendly approachable neighbours. We all felt very safe and enjoyed living in such a large beautiful home. The house has everything you need ; beach towels, reclining beach chairs, umbrellas , cool boxes, kayaks, bikes. We loved paddling through the nearby mangroves and cycling down to the circle for an afternoon coffee & ice cream . The house is very clean with crisp white expensive feeling bed linens . We loved the Extra large LG washing machine with its 15 min cycle to freshen up our beach clothes each day. The fact that there are 2 tables to dine at and 2 sofas to relax on we never felt we were living on top of one and other, it's a very spacious house. I would definitely book this property again . This was our 4th Regatta at Lido Key. This was our first stay here. We were very impressed with the on our arrival as it was exactly lint the listing. Property was very clean and well maintained. Customer service by Florence was great. This by far the best accommodations we have had in all our Team SnowFox travels. Would recommend this to all who travel to Lido Key area. Plan to re book for next years Regatta as soon as we get date confirmation. We enjoyed our stay at this lovely home. Did not have to leave the island. Great dining, shopping and the beaches were beautiful. Thank you for a wonderful stay. Great home that is close to Lido Beach and St. Armand's. There is a board walk entrance to the beach just 2 blocks from the house at the end of Cleveland Ave. St. Armand's Circle is an easy walk or bike ride away. 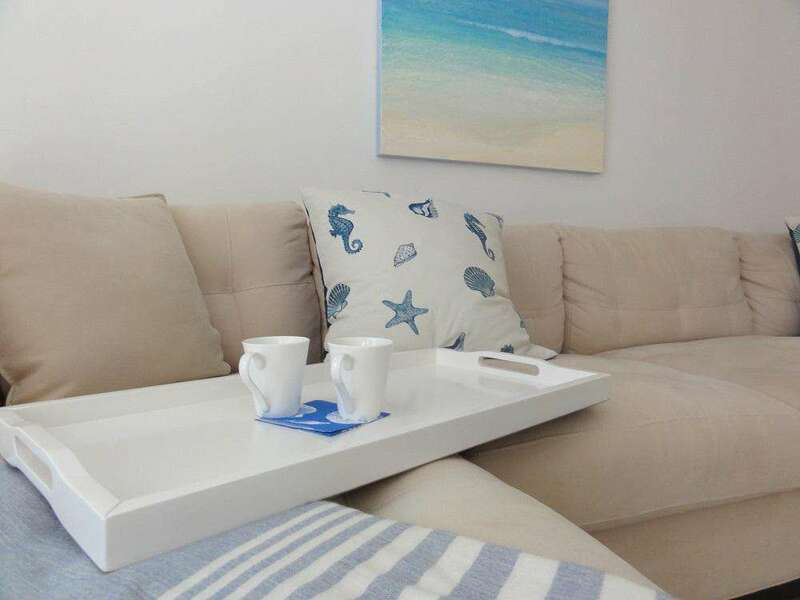 The home is just as described and has a lovely beach vibe. I just spent 2 absolutely lovely weeks at this wonderful home. 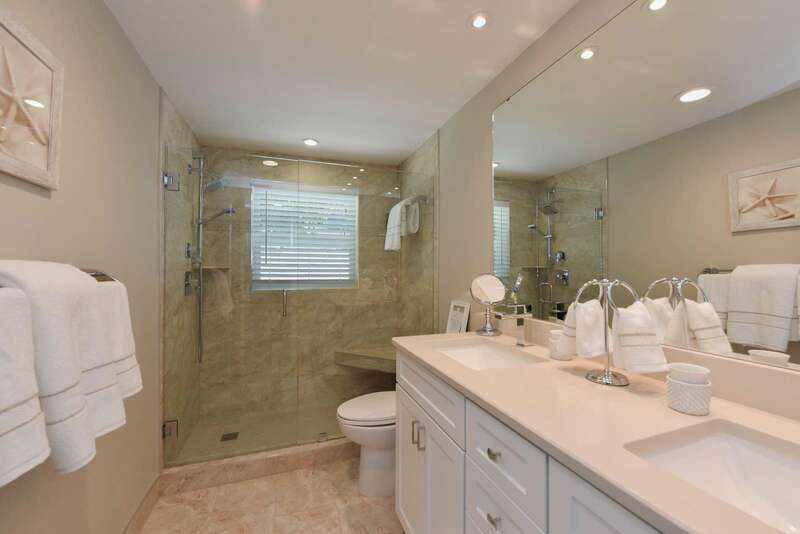 It is bright, airy with a well stocked kitchen Two large master suites and a large comfortable living room . Perfect for relaxing after a day at the beach . It is so close to the ritz tiki bar - perfect little gem for sunsets and cocktails . You can walk to the beach restaurants . Many golf courses to play. A perfect vacation !! I will be back !! My husband and I stayed here for two weeks in Jan and had a wonderful time. 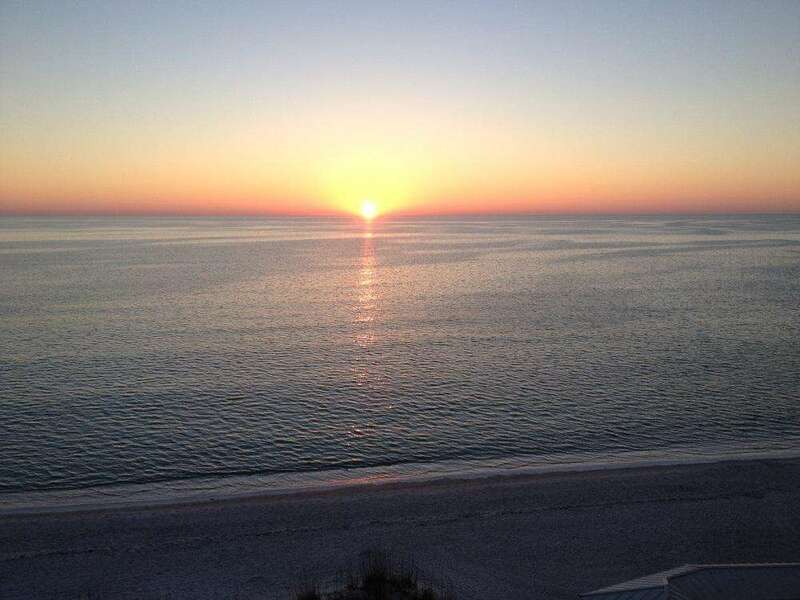 The location is great for walkers (5 min to Lido Beach Resort \ public beach and 15 min to St Armand's Circle). We didn't use the bikes that were provided but it's a safe biking area - quiet streets with lots of McMansions and some nice older Fla houses mixed in. Very upscale. The house itself is spacious and well-stocked. I'd definitely recommend it to family and friends. My husband, sister and two-year-old son just had the great pleasure of spending our Christmas holiday at this lovely piece of heaven. The decor is so warm and inviting. The location was incredible. We cycled everywhere! There are 4 bicycles provided. It only take a few minutes to cycle to Armand Circle or the beach. 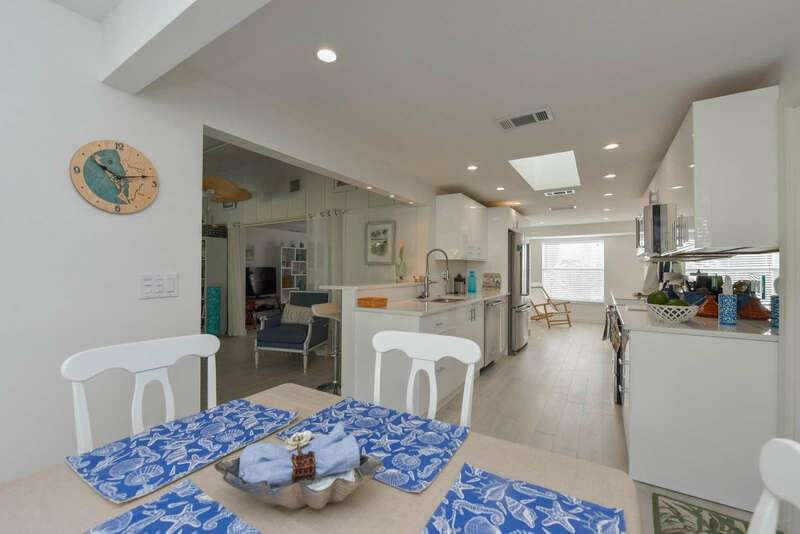 The kitchen is nicely appointed so you can really cook, and the breakfast nook is really really charming. There is a laundry room and a huge walk in closet in the master. I spent many hours reading on the back deck and my son loved running around the backyard. I highly recommend this rental. I did not want to leave! Nous avons passé un séjour formidable dans cette superbe villa très spacieuse à la décoration soignée . La villa est trés bien équipée pour passer des vacances de rêve : vélos pour se balader sur l'ile magnifique , canoës pour les promenades dans les mangroves , serviettes de plages , parasol , transats sur les terrasses, Wifi .La maison est par ailleurs idéalement située : à 5 mn à pied d'une superbe plage et à 5 mn à pied des boutiques et restaurants . 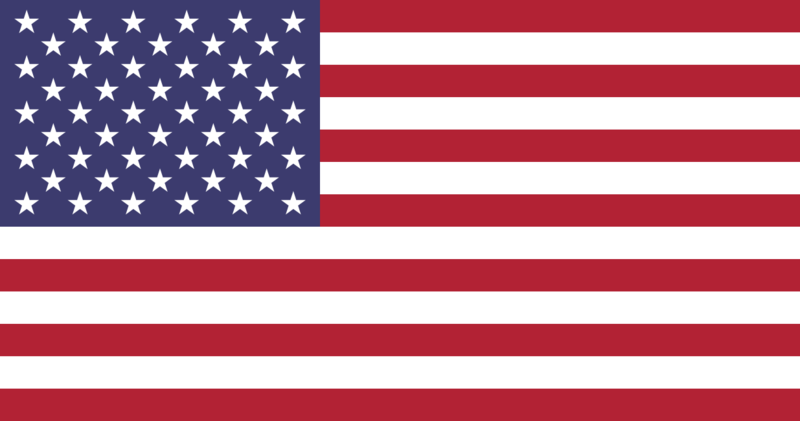 Je la recommande à tous mes amis . I enjoyed the decoration, it really felt like a beach house. The beach is at 5 mins walk but we used the bikes available at the house to go there. Perfect location. We also used the bikes to go around St Armands, which is really charming. This was a great vacation and we will come back. I stayed in this house with my parents and we had a wonderful stay! The house is lovely and comfortable. We had plenty of space for 3. The living room and bedrooms are spacious. wifi works great, and there is cable TV. The terrace in the front was great for tanning! the beach really is at a 5 min walk, and it was perfect! We used the kayaks that were available and had fun in the mangroves. I hope we can come back next year! Magnifique séjour à lido key! J'y étais avec ma fille ado. La maison est accueillante et confortable. Le charme d'une beach house avec tout les équipements d'une vraie maison! Il y a vraiment tout ce qu'il faut! La plage est vraiment au bout de la rue à 5 minutes de marche! Génial! Les vélos ont été très appréciés pour explorer les différentes plages et se rendre à st-armand's circle prendre une crème glacée! Lido key est à proximité de plusieurs attractions touristiques intéressantes (adultes ou enfants). Greg a été très serviable et à répondu à nos questions rapidement. Nous y retournerons c'est certain! My wife and I spent a lovely week on lido key. The house was very nice and in a superb location. The house was well stocked and the owner was very helpful and and friendly. My wife and I look forward to returning!